As space shuttle Discovery streaked into the Friday night-Saturday morning sky, I felt bad for the person who was getting a ticket alongside U.S. 1 just south of Rockledge. The launch I had been anticipating for some time finally came. But I wasn't in Titusville, waiting for hours in the pouring rain for a brilliant shot of Discovery as it streaked into the night sky. Instead, I was working on Page 1 at the newspaper in Melbourne, helping to cover the event with FLORIDA TODAY's space team, stationed about 30 miles to the north at Kennedy Space Center. I managed to complete all aspects of the page 10 minutes before the launch at 11:59 p.m. Friday, so I headed out to the side of U.S. 1. There, I set up my camera as a police cruiser pulled over a vehicle in front of me. Thinking the lights would mess up my photo, I closed the aperture all the way to f/22, hoping that the flashing strobes wouldn't overexpose the image. 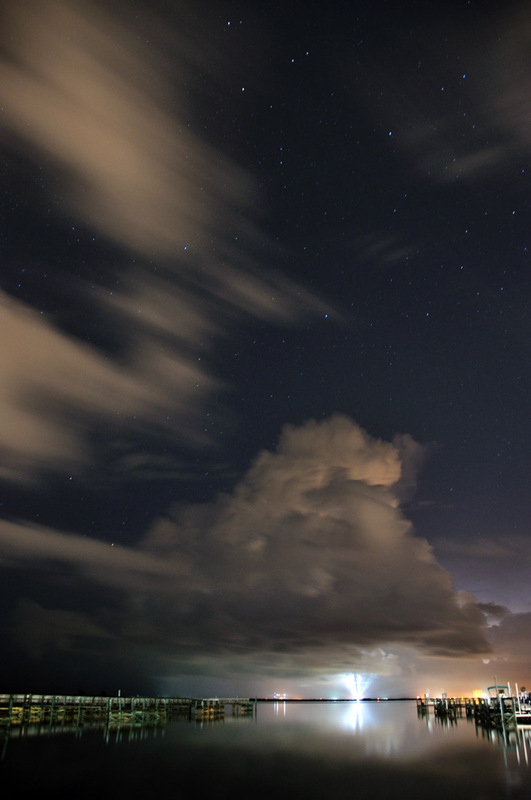 The shutter was open for four minutes and 36 seconds, and the camera's ISO was set at 100. The police lights proved to add an interesting effect. It was the first night launch for which I have attempted the time lapse shot of the space shuttle's streak into the cloudy air. There even was some lightning off to the south, but it was too far away to capture in the same shot. The liftoff was a successful start to mission STS-128, in which seven astronauts will deliver science experiments and a treadmill named after Comedy Central's Stephen Colbert, among other supplies, to the International Space Station. In hindsight, there were some adjustments I could have made to achieve a better image, but the shot wasn't as bad as I was expecting. After the shuttle had faded into the distance, I thought only one thing: The driver who was pulled over probably was speeding to a location to view the launch. If that were me, I would have been devastated. And 30 minutes after midnight, Page 1 - with a photo and a story - was on its way to the press. A successful night all around. 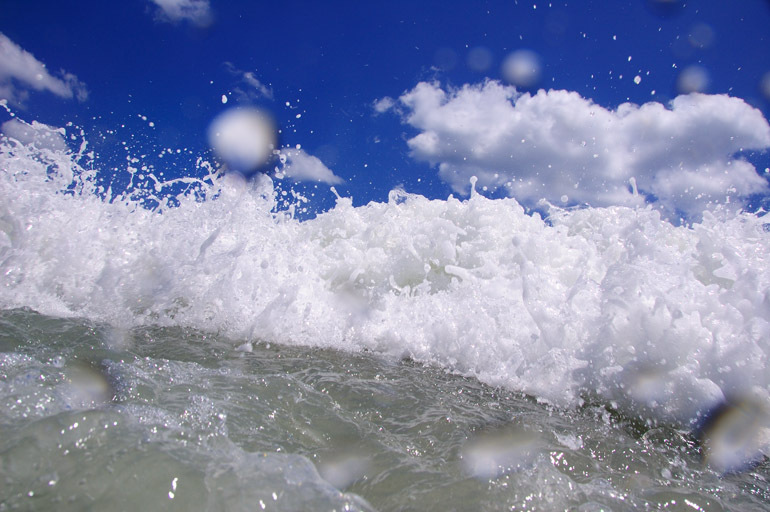 In 1996, Hurricane Edouard, which at the time was an extratropical system, paralleled Maine's shoreline, sending high surf crashing into the coastal regions, accentuating their photogenic nature. Hurricane Bill's deadly effects last weekend at Acadia National Park near Bar Harbor made me think of this photo. As an annual before-school-starts tradition in the beginning of September, my family visited Quoddy Head State Park near Lubec, in Maine's southeastern corner, just as the storm was passing. (Acadia is more than an hour to the south.) I took several photos with my Pentax K1000. I was 12 years old at the time. 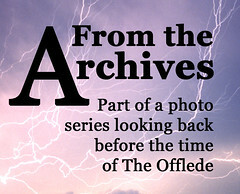 My father, being the great photographer and joker that he is, took this particular photo out of the stack when the prints were returned from the developer. He added it to his stack. And he did all of this while I was at school (I was in the seventh grade), before I had a chance to look at them. 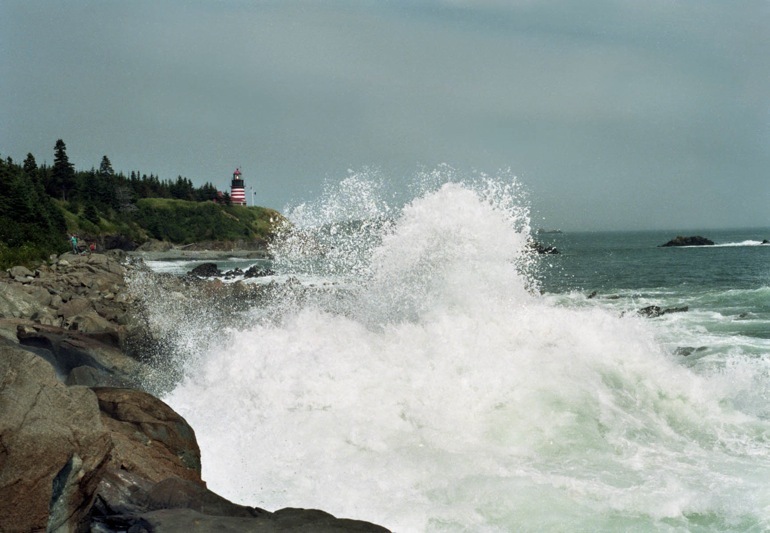 I flipped through the photos, saw a few I liked - surf blasting upward in front of the famous West Quoddy Head Light. But then my father showed me the one he caught: a perfectly large wave hitting the rocks, with the beacon of the lighthouse shining and a few people watching the surf from the shore. I told my father that his image was nice but that I liked mine better. Then, he admitted that he had taken this photo from my stack while I was at school. It wasn't his; it was mine. I suddenly loved it. Once again, I endeavored to watch a space shuttle launch during my weekend, and once again, I was thwarted by poor weather. 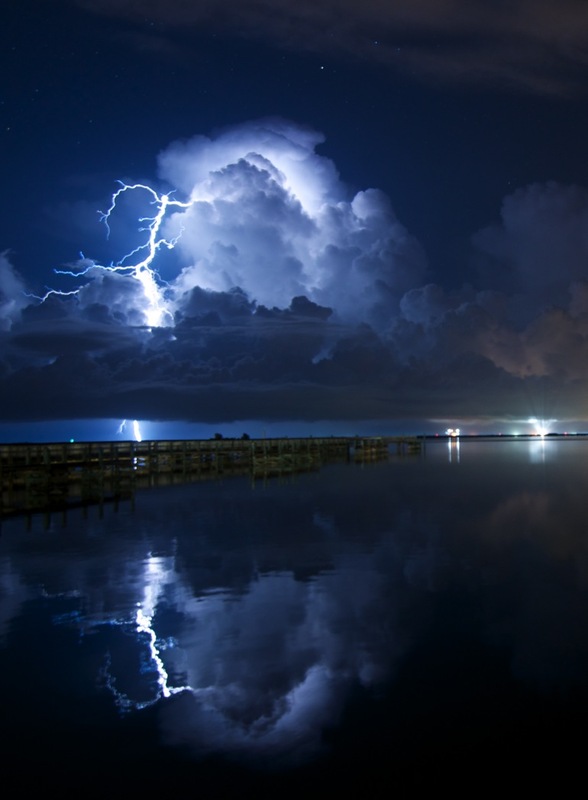 Lightning in the area of launch pad 39A at Kennedy Space Center prompted NASA to postpone Discovery's launch from 1:36 a.m. Tuesday to 1:10 a.m. Wednesday. 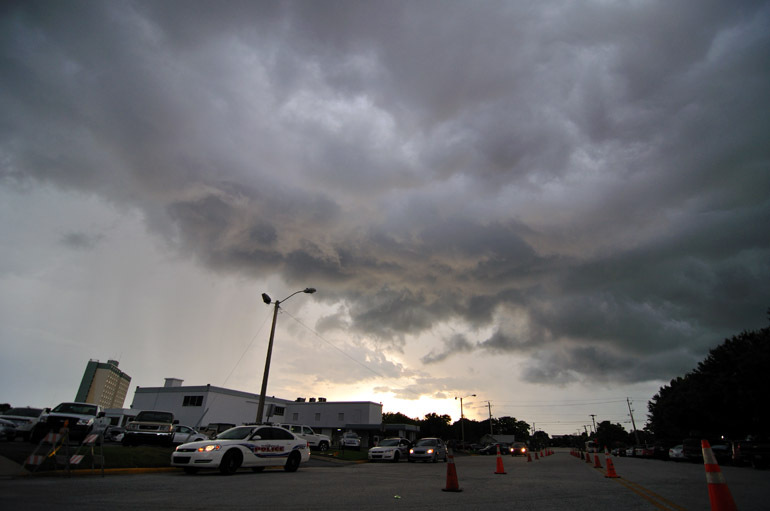 Since about 6:30 p.m. Monday, I watched from Titusville as the weather above Cape Canaveral evolved. The scrub was announced just before 1:30 a.m. Above is the biggest bolt I saw all night. I was lucky to capture it. 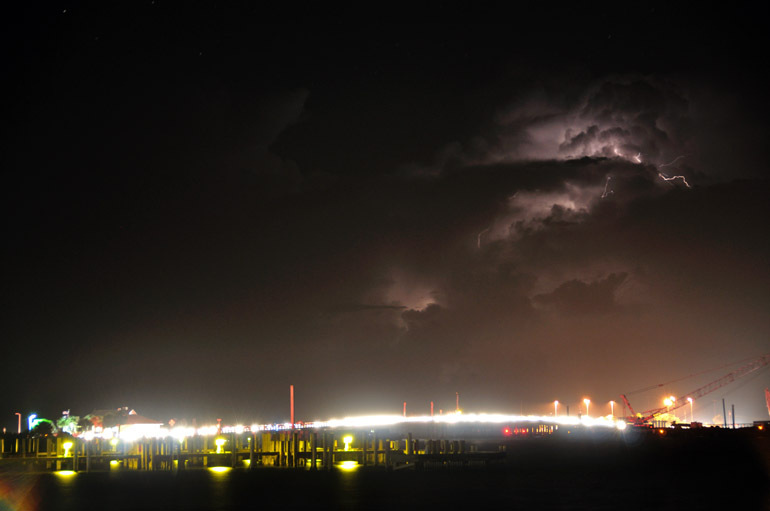 Viewed from Titusville, most of the lightning was contained within the clouds or obstructed by precipitation. A storm before sunset approached Space View Park, where I was set up about 12 miles across the Banana and Indian rivers from the launch pad. I had my fingers crossed that it wouldn't rain. My camera equipment was spread out across a 15-foot swath in front of the Indian River. I was hogging space for myself and two family members who were to arrive later. Luckily, none of the other spectators had a problem with it. Ah, but I was not THAT lucky. In this photo in the parking lot of the park, you can see faint bands of rain as they approach. Soon after this, it poured for a good 30 minutes. I used my umbrella to cover my camera equipment and used my camping chair as an umbrella. I can't imagine how stupid I must have looked as the chair's legs stuck high into the air in the middle of a thunderstorm, as I hunkered underneath it. Eventually, I just gave up because the rain was soaking through. After the scrub, I pulled out my wallet to pay for a soda, and the dollar bills were limp and soggy as I handed them to the CVS cashier. I myself was soaked for hours. Heck, I'm still soaked as I write this. At 6 a.m. The rain finally stopped as the sun went down. 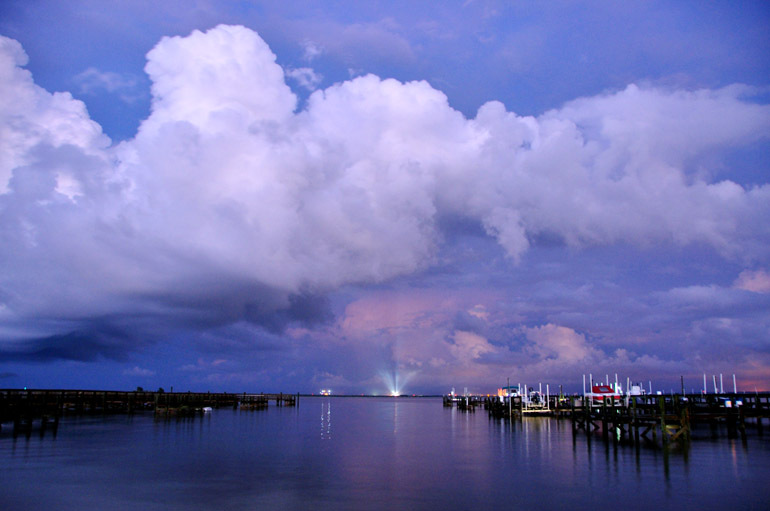 At this point, the strobe lights of pad 39A already were shining brightly, as the purples, pinks and blues appeared in the eastern sky above the space center. Storm cloud after storm cloud moved through. The flow appeared to be mostly from south to north, so I thought that if more thunderstorms formed over the Atlantic Ocean, they simply would move north without coming near the space center. Ah, but nothing is simple when it comes to Florida weather. After the sun went down, things were looking up. The skies started to clear, and the stars came out. 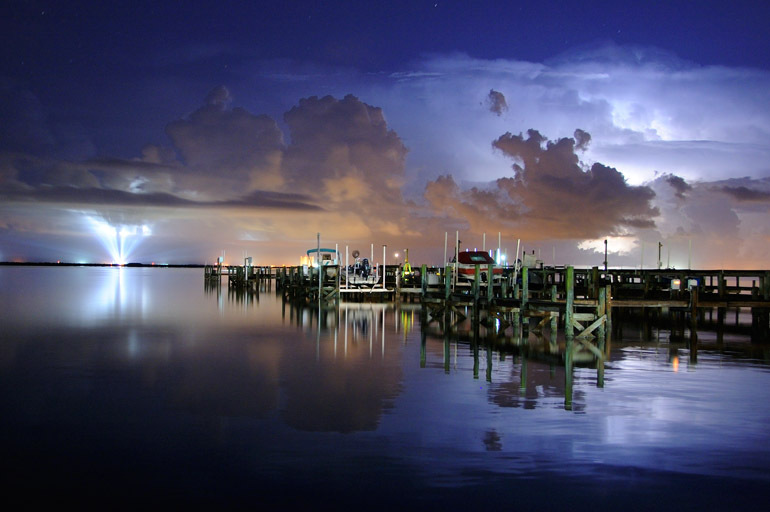 As I talked with two fellow photographers - one local from Brevard County, one South Floridian from the Miami area - we noticed some lightning well offshore. But as we listened to NASA's launch control announcers - from whom a feed is blasted on speakers at Space View Park - weather didn't seem to be a concern for the launch: Forecasters still were saying there was an 80 percent change of favorable conditions. But storms kept building - something NASA wasn't expecting. 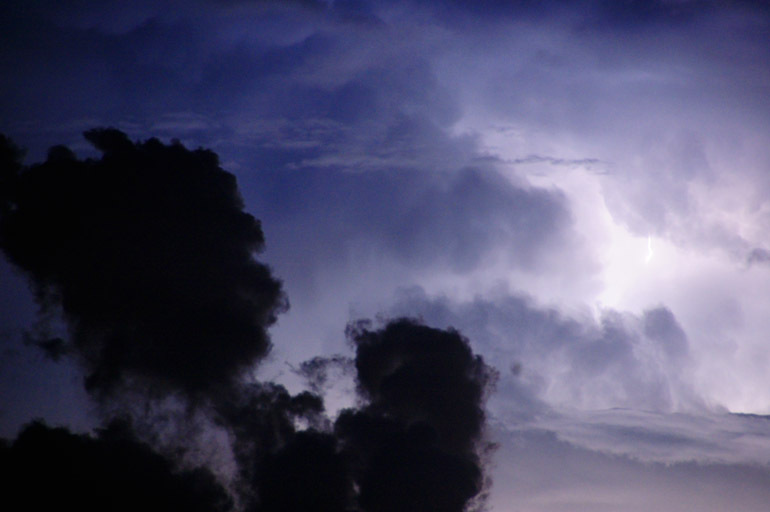 Lightning was popping up all around, and the clouds were billowing higher, two conditions that are unacceptable for a launch. They also appeared to be moving closer. I liked the contrast in this photo. 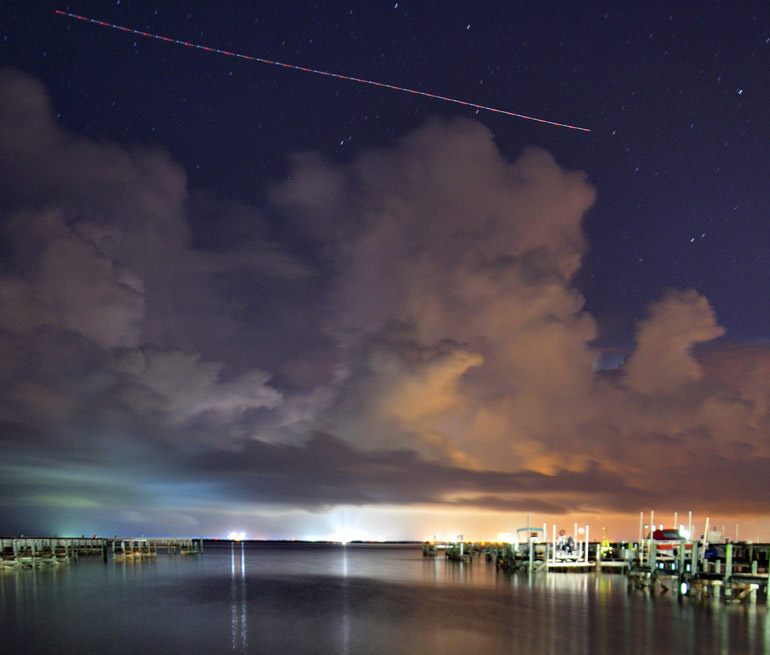 NASA sent its shuttle training aircraft into the skies to assess the weather conditions over Kennedy Space Center. 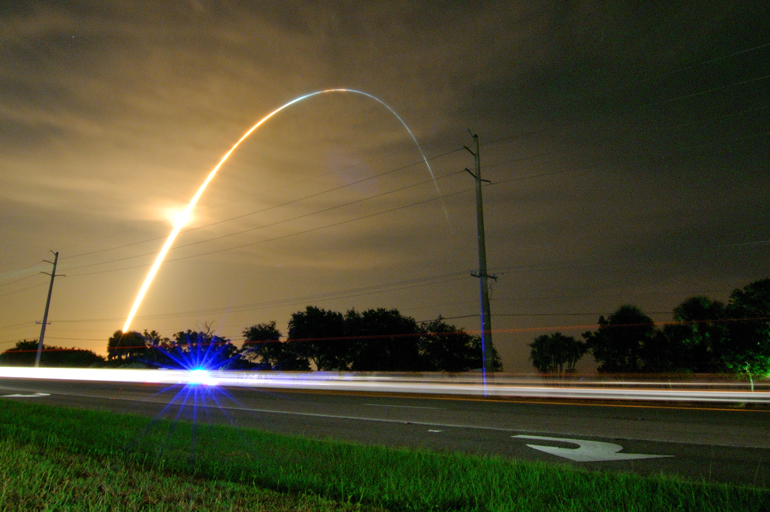 It lifted off KSC's airstrip with a roar. 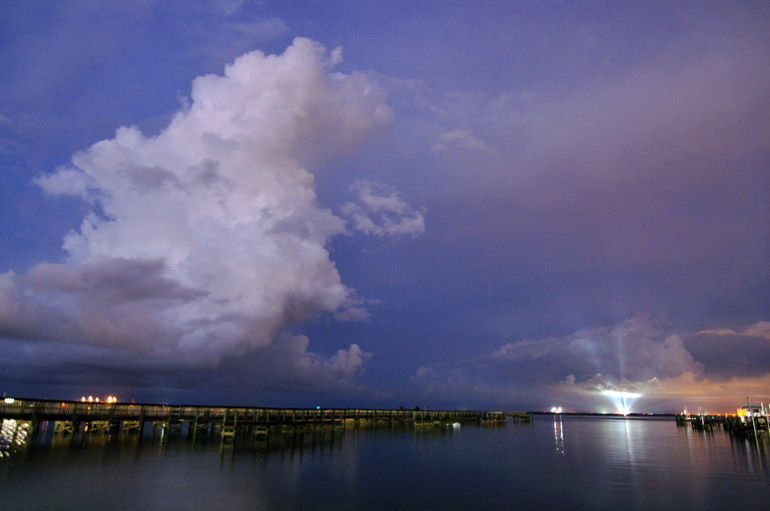 In this frame, the STA is seen as a colorful streak above the clouds. Soon after this, the lights from the launch pad dimmed, and the tower was no longer clearly visible. That meant one thing: It was raining hard over there. The crowd applauded and whooped as the launch announcer said the weather was trending in the right direction. But I knew they were just getting their hopes up. I still saw lightning in the area, though it wasn't as frequent as it was earlier. Still, the wannabe spectators prepared for rain as this shelf cloud started moving westward - right for us - and the wind started blowing hard after a relatively calm night. 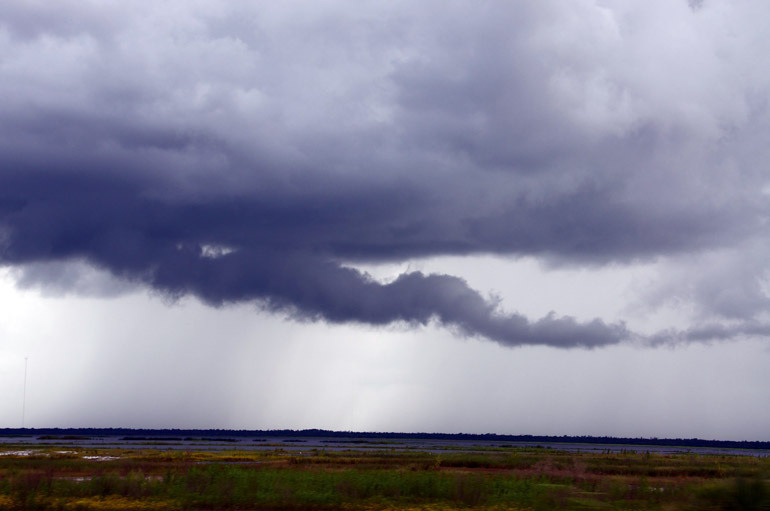 But the wind was dry, and I no longer saw precipitation between Titusville and the space center: It appeared as though the storm had rained itself out. Thankfully, I would not get wet again (though I was still wet from the first storm). The skies were clearing, but it was too late. There wasn't enough time for the anvil clouds to clear the region. After the launch was scrubbed, visitors who had been at KSC began to file in their cars over the A. Max Brewer Bridge, which connects Titusville to Merritt Island. I decided to let the roads clear before I hit the highway myself. In the meantime, I caught a little lightning above all that traffic. Just in case you wanted to inspect that bolt a little more closely. 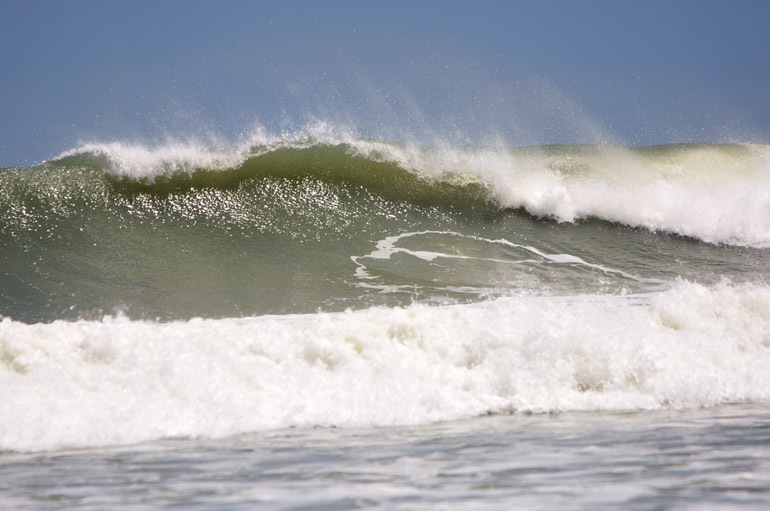 I missed two photos that I shot in Cocoa Beach on Saturday, as Hurricane Bill's waves crashed into the Space Coast. They were both taken with my small Nikon D40, which I slung around my neck as I shot close-ups of the surfers with a telephoto lens on my D90. I think having such equipment draws more stares from beachgoers than do the pretty ladies. In this shot, I liked how the two subjects' reflections were wholly contained within the reflection of the stack of clouds. I'm always on the lookout for patterns. And you frequently see them on the beach in some form or another. 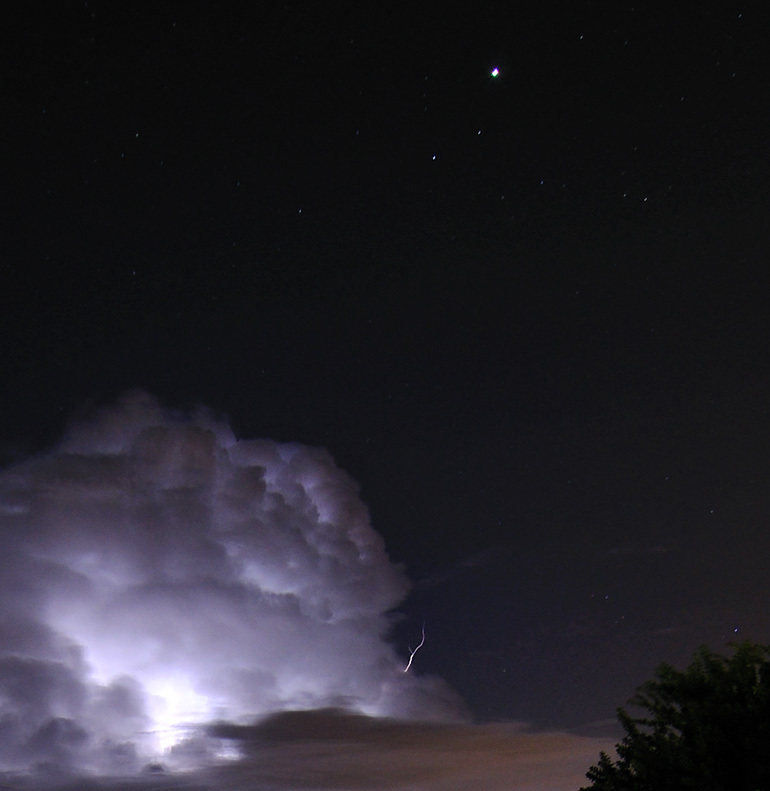 On Sunday, I saw lightning in the night sky for the first time in some time. 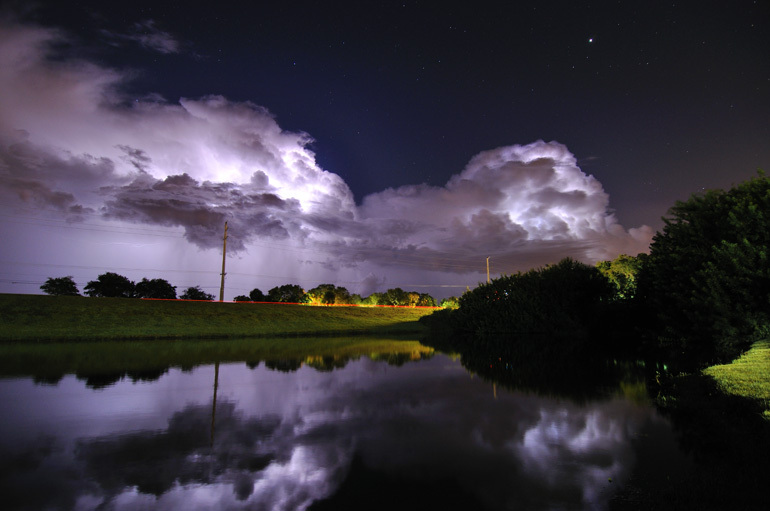 Storm clouds in the distance were producing lightning that shot upward and outward into the clear sky. Unfortunately, I was working and could devote only five minutes to photographing this storm after most of it had already moved toward the ocean. This pretty exposure, created by my 11mm wide-angle Tokina, was made at the edge of a pond in front of the noosepaper. While most of the show consisted of intracloud lightning that lit up the clouds, a few bolts did make it out - at least from what I could see at my vantage point. Most were coming out of this one spot on the southern top edge of the storm. This might be the most interesting thing I have ever photographed during a lightning storm, though it may seem insignificant to many people. But this bolt is the first I have captured with much color, specifically blues, greens and reds. 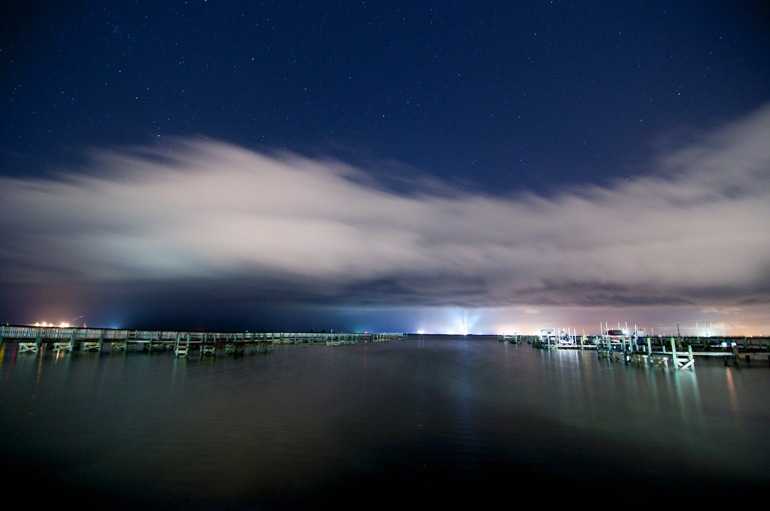 Red sprites and blue jets are phenomena that occur on the top of thunderstorms, but they were only recently documented for the first time. Sprites now have been well-imaged from space by NASA's shuttle program. 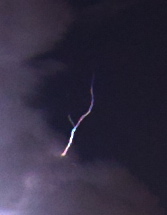 The bolt at left, which is a crop of the above photo, I'm sure, is neither of these anomalies. In my casual viewing, I met none of the prerequisites - including distance from the storm and elevation - for seeing such a thing. But still, it's cool; don't ya think? 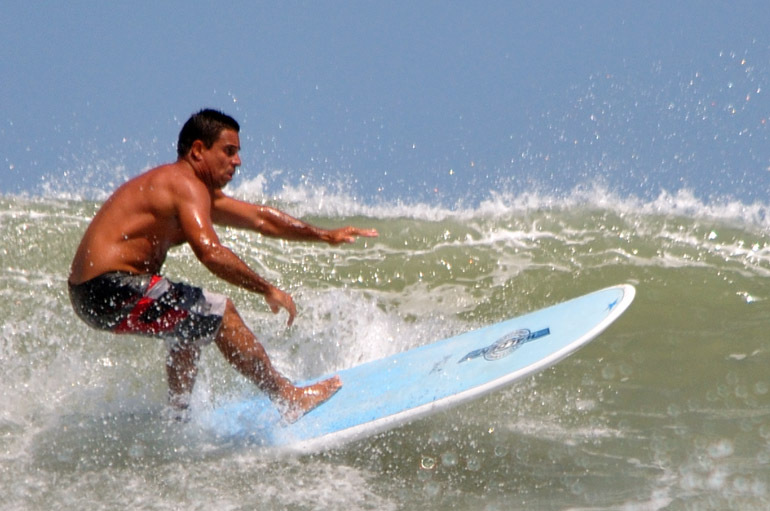 After swimming with the waves off Patrick Air Force Base on Saturday, I took my camera and its long lens north to Cocoa Beach, where the surfers were capitalizing on Hurricane Bill's large swells. A surfer ducks into the tube. 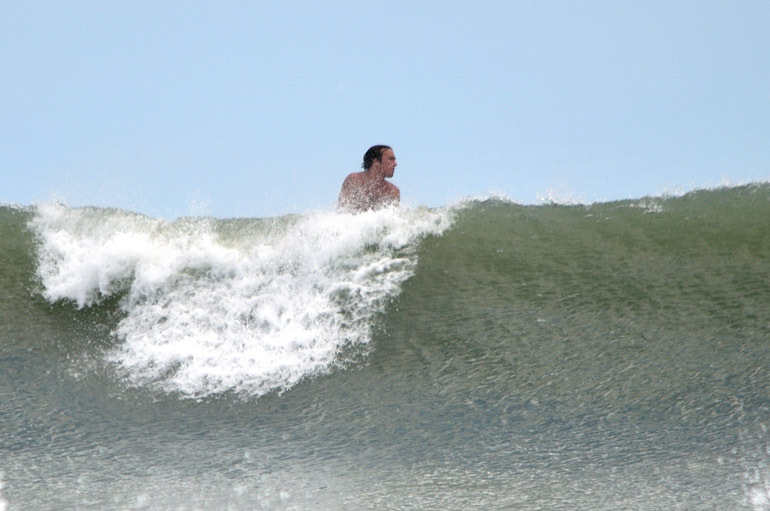 One peeks over a large wave. Caught up in a crashing wave. 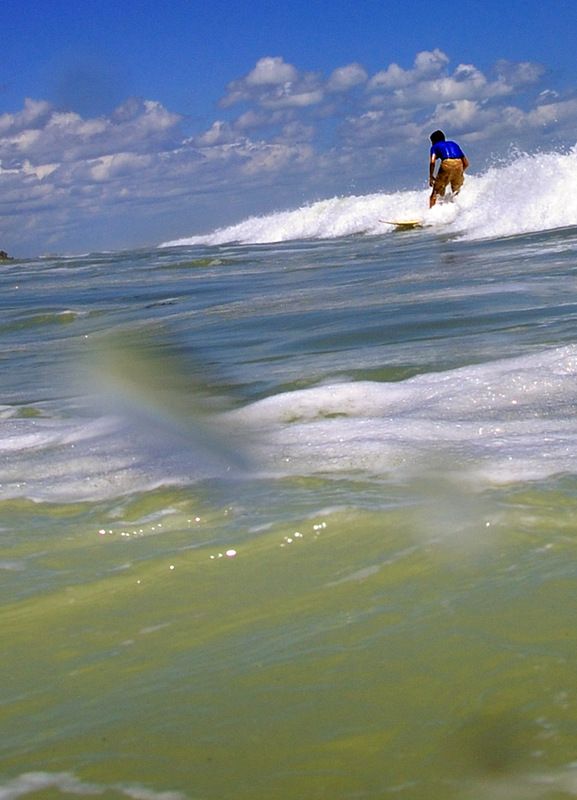 Most of the surfers were far offshore, making a telephoto lens quite the necessity. The 8-foot swells were daunting at times. 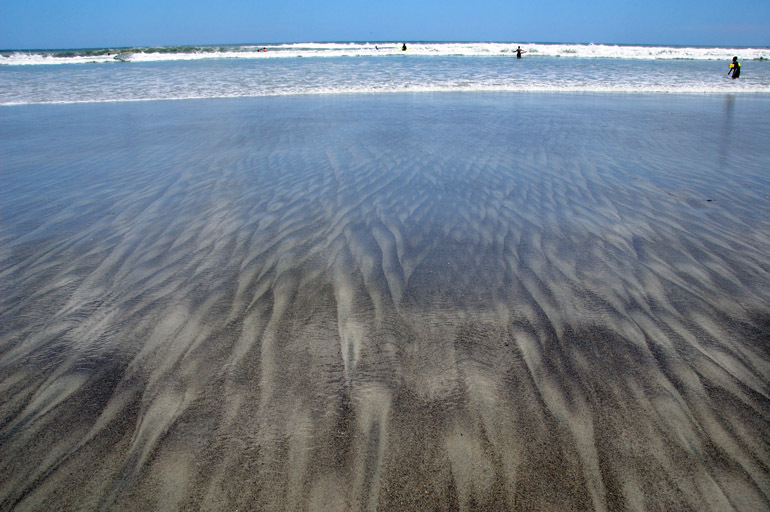 Some surfers tested waves as they died close to the shore. 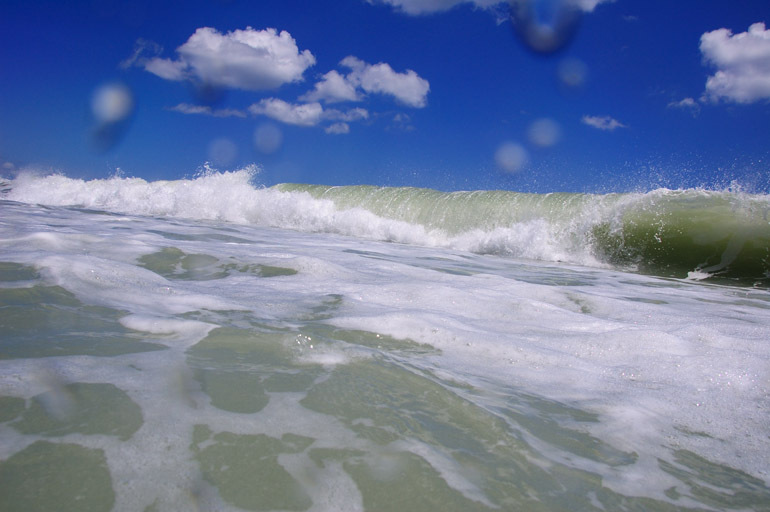 If I were a beginner, I would have avoided the depths because of the rip currents brought on by the tropical system far out into the Atlantic Ocean. 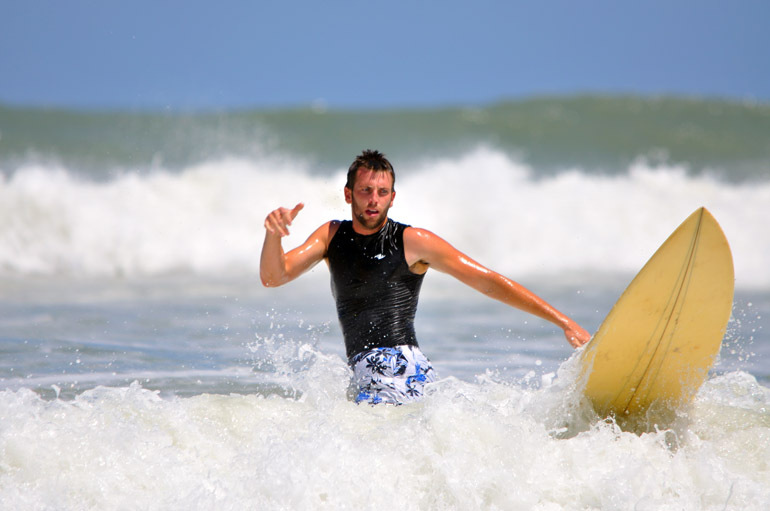 He's sizing up his chances with an oncoming wave. The advertisers in the sky were out in full force. 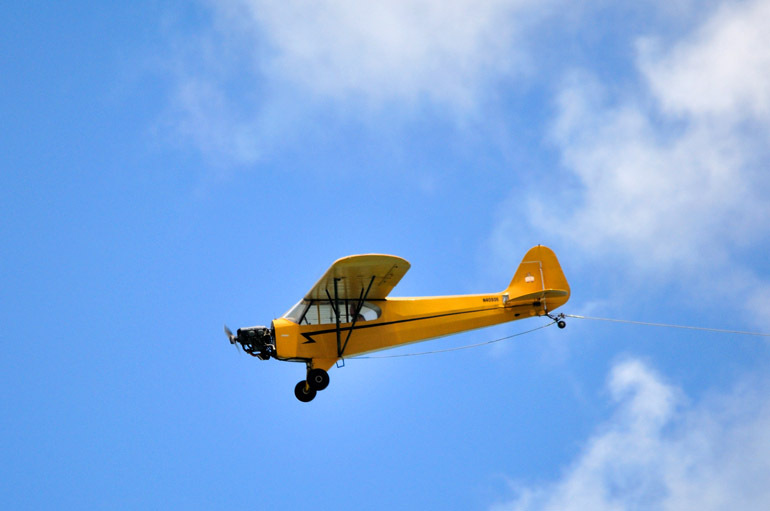 This pilot was spreading the news about drink specials at a local bar. 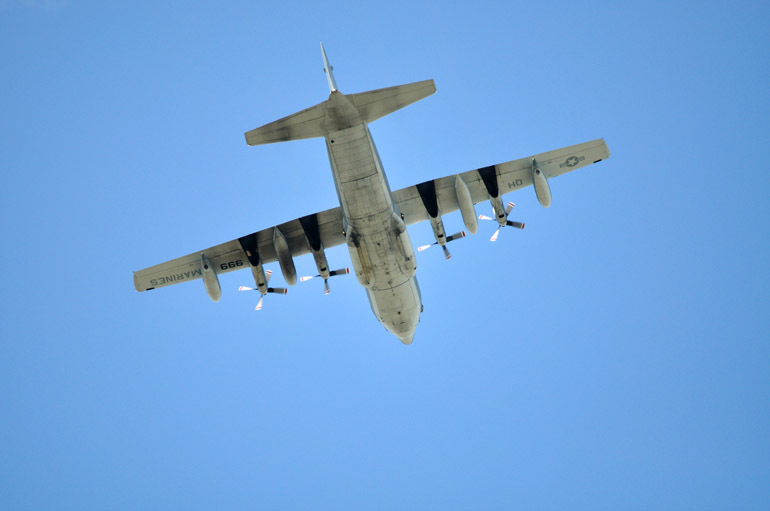 The bigger planes that fly overhead remind people that they're enjoying a beach that's close to an Air Force base. 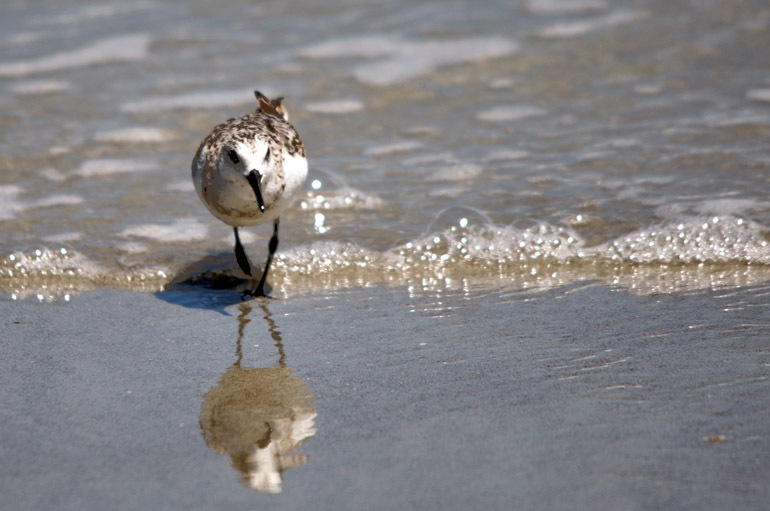 A sandpiper joined thousands of beachgoers near Shepard Park in Cocoa Beach. Just a beautiful, curling wave. 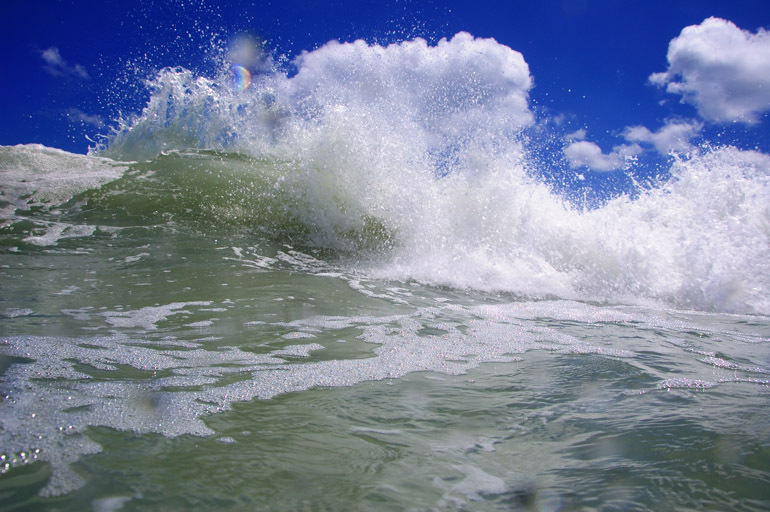 A wave crashed toward me, with a bit of lens refraction adding a splash of color. Bill, a healthy hurricane that has made a curving ocean tour well off the East Coast, has brought mostly good effects to Central Florida. 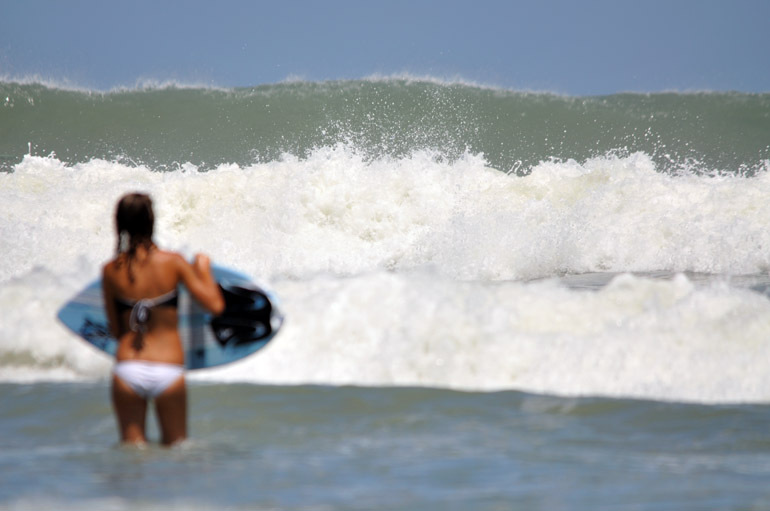 As FLORIDA TODAY said Saturday, the storm's "surf fits the Bill," meaning the forecast 8- to 10-foot waves made for a welcome reprieve from a horrendous season of calm sees. 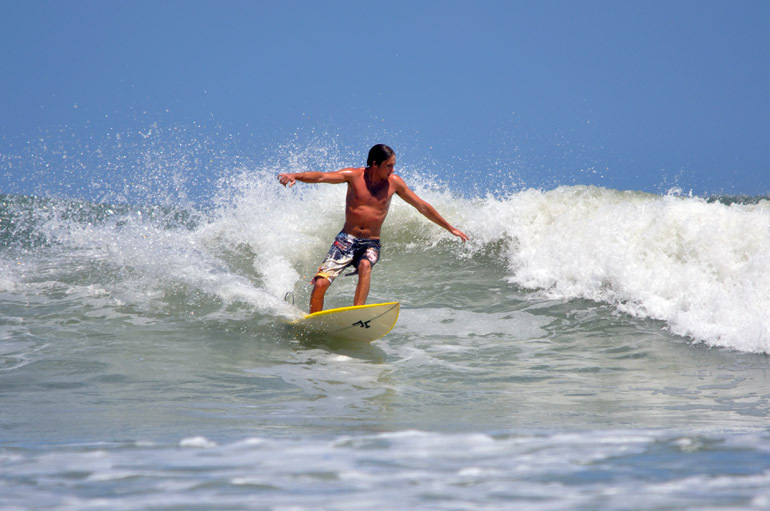 The summer has been a downright bore (no pun intended) for wave riders in the supposed surfing capital of Florida, Cocoa Beach. But not this weekend. 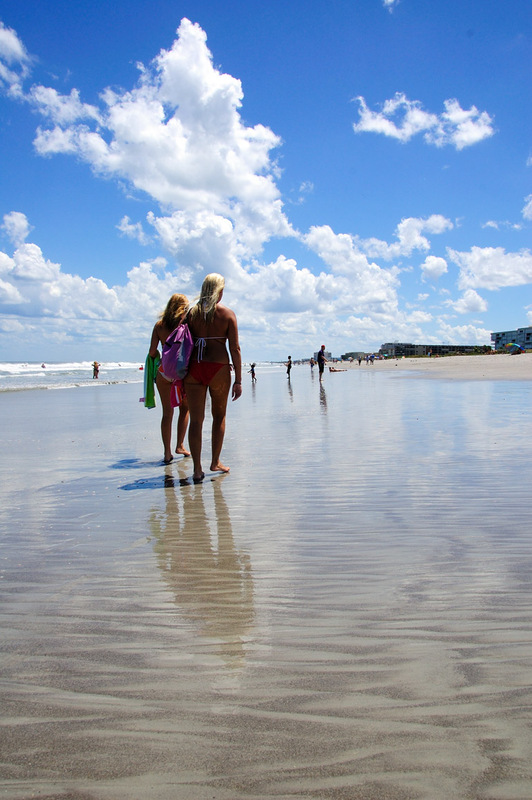 Though I do not think the waves reached the heights many were hoping for, the beaches of the Space Coast drew thousands Saturday. (Least year, I think Hurricane Bertha provided a better show.) 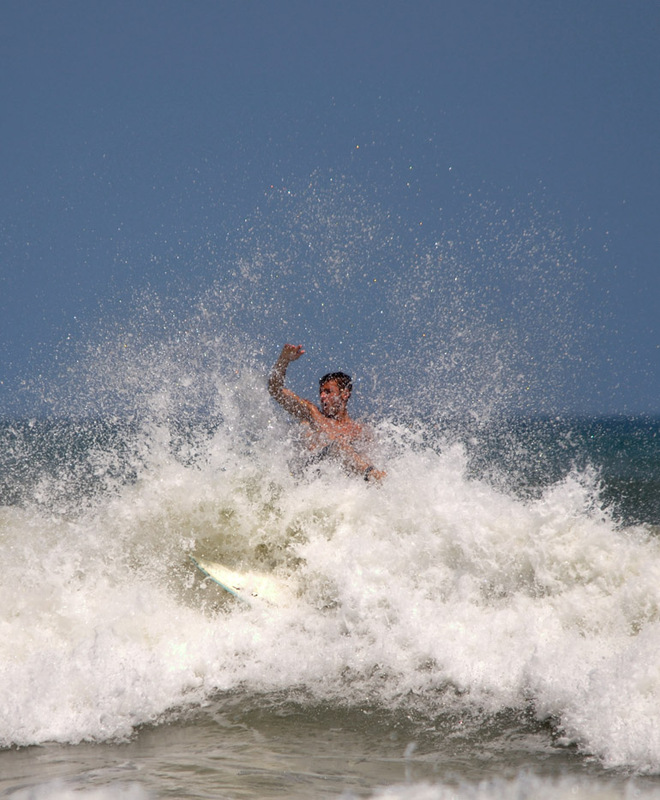 The swells were pretty gnarly for boarders, but also blast for swimmers who appreciate a challenge. For me Saturday afternoon, swimming in, on and under Bill's crests presented even more of a challenge - because I was paddling with only one arm. The other was grasping the lesser of my two digital SLRs, a Nikon D40. Of course, it was properly protected in a waterproof case. 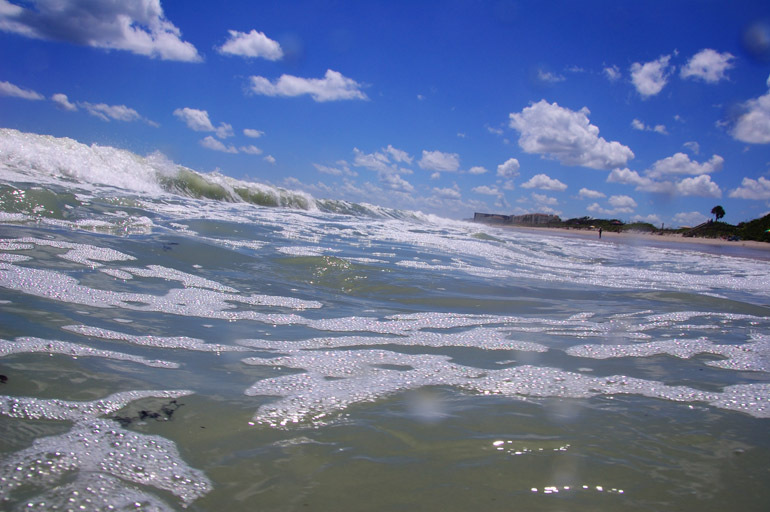 My dip in the warm Atlantic took place off Patrick Air Force Base, just south of Cocoa Beach. I chose the less crowded of the area beaches for this photographic experiment because, honestly, I didn't know what to expect. Logistically, the adventure was a nightmare. 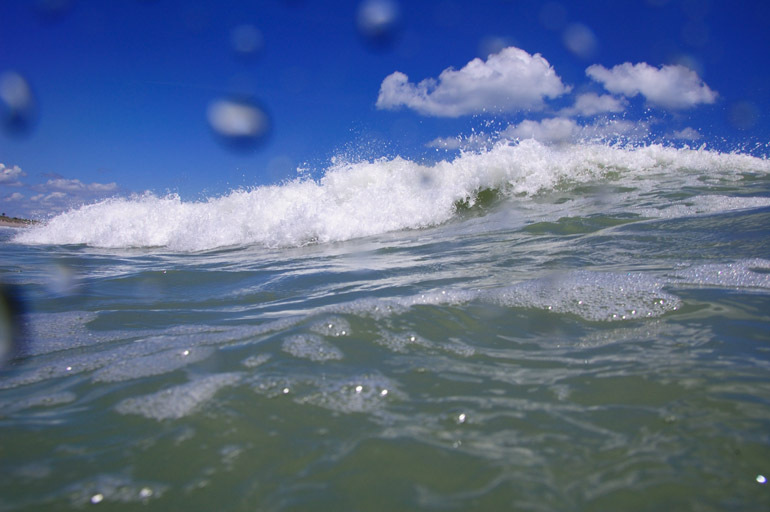 The rip currents associated with this storm system made it difficult to stand in an attempt to compose a good shot. 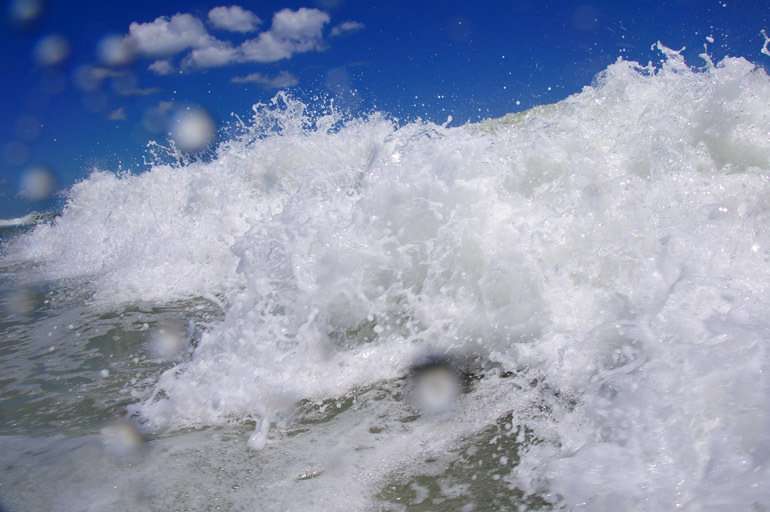 And the waves themselves would knock me down unless I dived into them, which often made me nervous on the account of the hundreds of dollars' worth of photographic equipment in my hand. Because of that, I didn't venture out to a point where the water depth was too far over my head. For the most part, I was forced to simply fire indiscriminately, hoping I would get a useful shot. I couldn't zoom the lens, which was locked at 18mm. And I couldn't easily adjust the exposure. 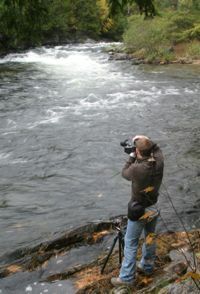 Everything had to be preset before I jumped into this foray into just-above-water photography. But the lesser of my two cameras continues to surprise me. 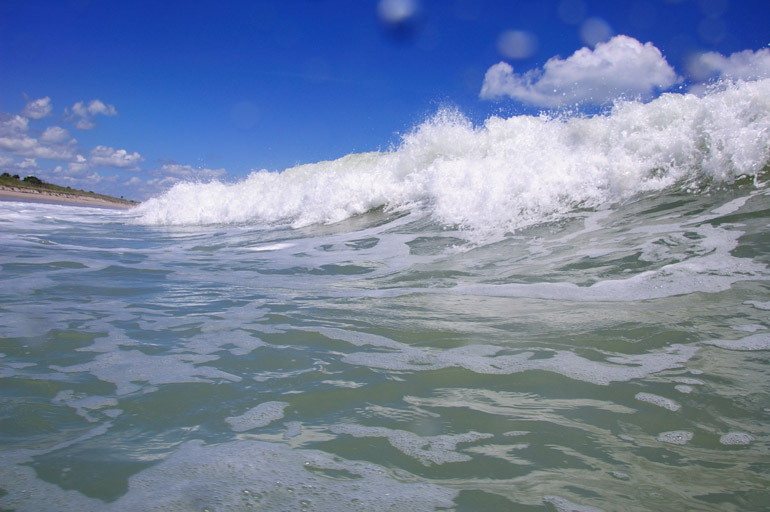 I was quite happy with the richness of colors and contrast in these images of waves as they crashed toward me. Like a mountain rising up, obstructing the horizon. I'm sure this thing gave me a good drink of salt water. 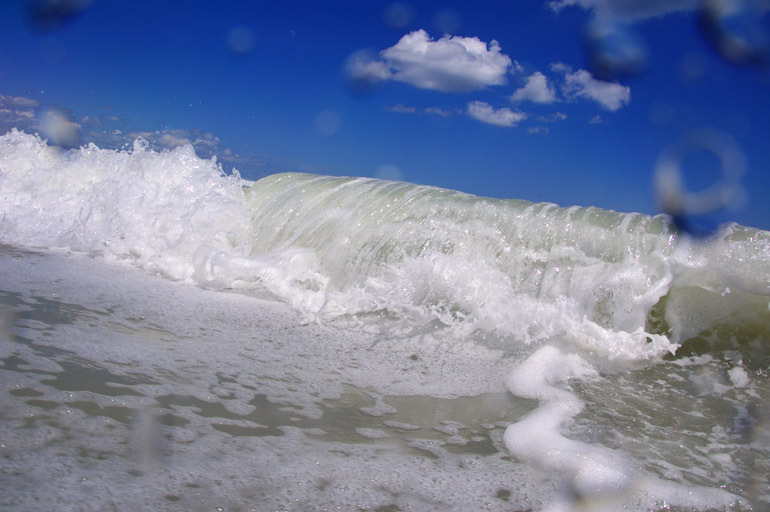 It would be cool to get a shot inside a wave like this one, but I was not successful to that end. A good one approaches the shore. 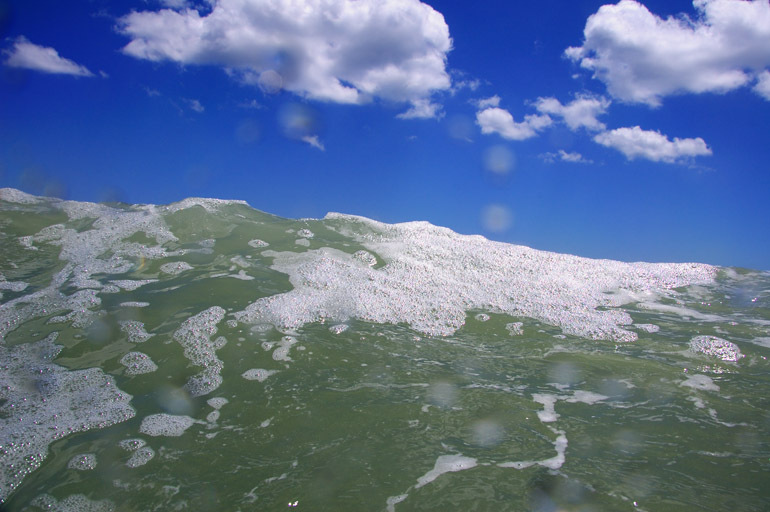 The surface of the water and the sky are similar: white clouds on a blue background versus white foam on a puke-green backdrop. Parallelism! 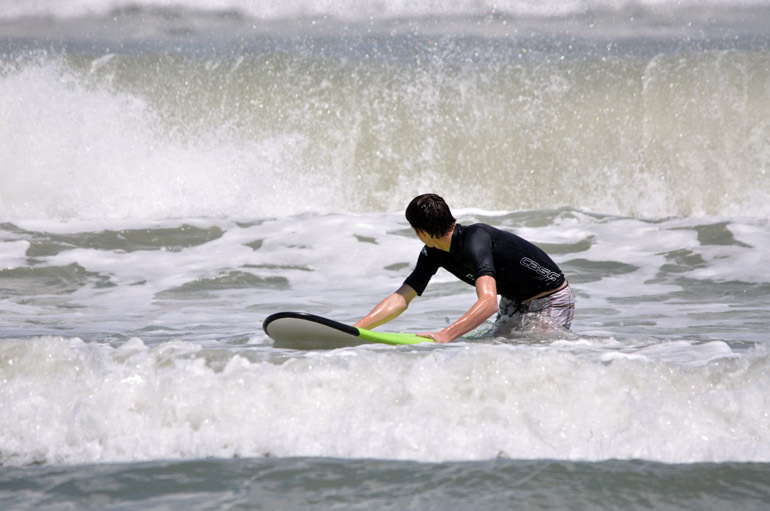 This image is of poor quality because it's cropped tightly to show the surfer more prominently. (Incidentally, this is the only image in the entire set that was cropped.) Most of the surfers were farther out. More to come: Yes, I could not resist shooting surfers comfortably from the shore, so those photos will coming later, whenever I get the chance to riffle through them. Click on the image for the full-size panorama. 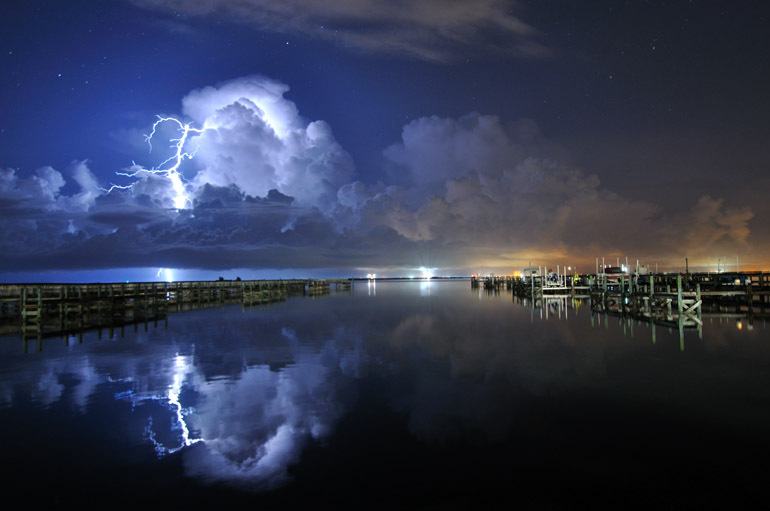 Storms have been sparse recently on Florida's east coast. A few have popped up later in the day, but many have fizzled out quickly. 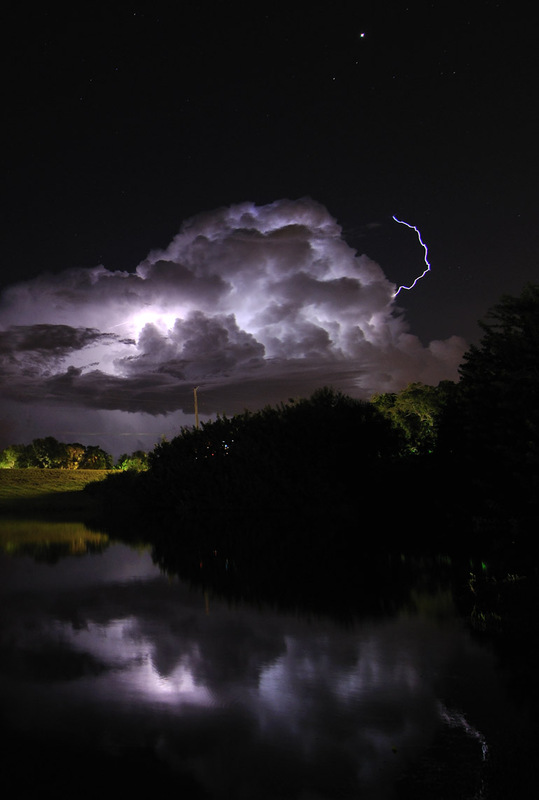 Early Friday evening, the clouds associated with a large area of rain and lightning in the interior parts of Central Florida made their way to the coast. But the storm dried up again. 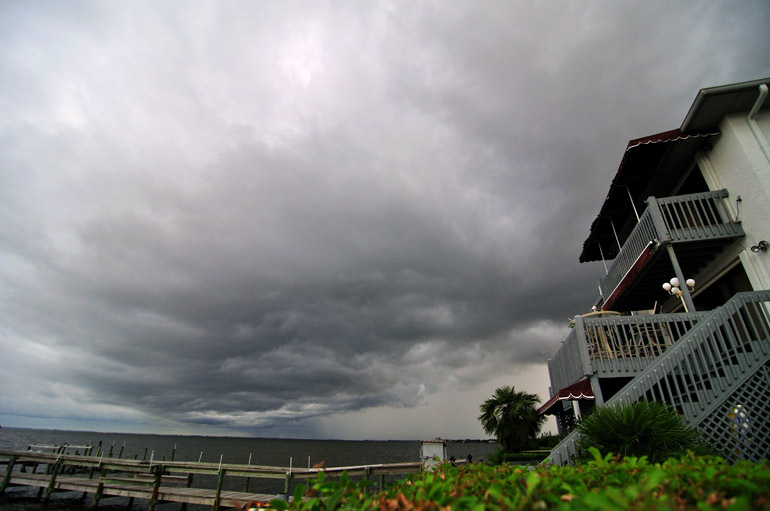 This was the scene above the Indian River near Rockledge after the clouds pushed eastward. It's hard to believe that the summer is mostly over, and a lot of our better thunderstorms have probably already come and gone. 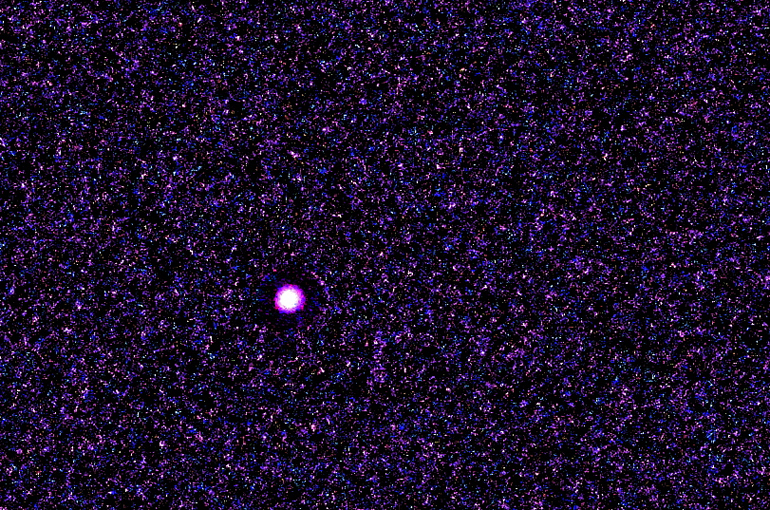 Jupiter and lots of purplish-pinkish light noise. As I've mentioned before, astronomy and astrophotography aren't easy hobbies to execute when contending with the lights of Central Florida. Nevertheless, I try my best to glance at the heavens now and then, and to take photos of planets, satellites and shooting stars at times. Last week, Jupiter was at its closest approach to Earth of the year, a great time for viewing the gas giant and four of its biggest moons: Io, Europa, Ganymede and Callisto. 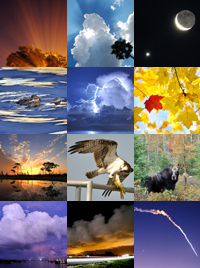 In addition, 2009 is a year of spectacular phenomena when it comes to Jupiter's 63 natural satellites. Tonight, for example, two of its moons will be seen from Earth in a 100 percent occultation, or when one passes directly in front of the other. Two others will rendezvous for a total lunar eclipse, or when one casts a shadow on another. More on that, including cool images, here. Last night, the planet looked brilliant as I stepped out of my car after getting home from work. I quickly set up my tripod and made several exposures of Jupiter. But in none, however, were the four largest moons visible, a sight that should be achieved through even my 500mm lens. The light interference again got the best of me. I was disappointed. Frustrated, I messed up one of the images in editing by boosting the exposure and saturation. That ended up highlighting the extreme noise in the photo that is achieved through the camera's high ISO, which was set at 2000. I ended up with one of those psychedelic posters that were so popular a decade ago. I have asked myself for a telescope for Christmas, but I'm not getting my hopes up. The above photo illustrates the manner in which I decided to shoot: speeding along with one hand on the wheel and my right grasping the camera, using my left steering arm as a stabilizer. This was a totally unintentional, lucky shot, as I was simply trying to photograph the truck with the storm clouds in the background. 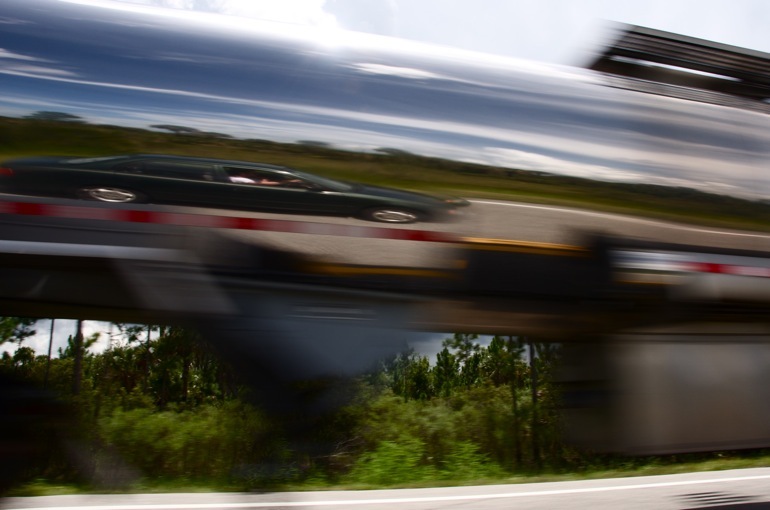 Instead, I captured my reflection quite clearly, which isn't bad considering both vehicles were traveling about 60 mph. There are moments when there's just no spare time to stop to smell the roses, or, in my case, to photograph something that catches my eye. That was the case Monday as I hurried to my cousin's birthday celebration in Longwood, which is in Seminole County just north of Orlando. Avoiding the highways for the sake of a more leisurely journey, I drove my car on State Road 46, which trails through more rural regions from Mims in northern Brevard County, across the St. Johns River and through Sanford, where the main attraction is the airport. 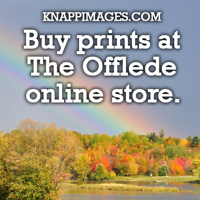 Along the way, some photogenic weather phenomena popped up. The westward-leading road is desolate in most areas. Much of the surrounding land consists of wetlands created by the St. Johns River, Florida's longest river that flows lazily north to Jacksonville. Last year, Tropical Storm Fay flooded a bridge that spans the northern end of Lake Jessup, which is fed by the St. Johns. When driving along the roadway at nighttime during alligator season, it's easy to see airboats with bright spotlights shining into the swamp. Signs at the mouths of dirt roadways advertise airboat tours, and a few entice passersby with the promise of "authentic Florida cooking," whatever that is. Aside from an intersection in Geneva, a town of a few thousand people, there are few places to gas up along the way. Without the time to stop to photograph any of this, I did my best without even slowing down. I rolled down the window, pointed the lens quite indiscriminately and fired away. This photo wasn't even cropped. I surprised myself by keeping the camera quite level as I clicked away while driving over a bridge across the St. Johns River. This horizontal cloud column appeared over Puzzle Lake, then dissipated a few minutes later as I continued to drive westward. Though it formed and dried up quickly, I don't think it was moving or rotating with any rapidity. None of the storms I saw Monday were very severe. 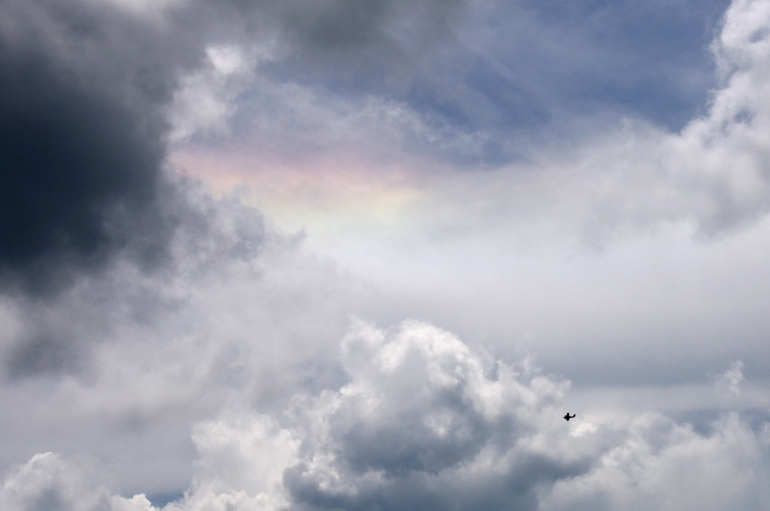 As I neared the end of my time on State Road 46 and was approaching Orlando Sanford International Airport, something caught my eye: a plane flying toward a rainbow that was shooting out from a storm cloud. (Yes, this is a rainbow: Though it appears to be a sun dog, or parhelion, the arc did extend off to the right of this image and toward the ground.) With my handy-dandy 18-200mm lens attached to my camera, I zoomed to full power and fired about three shots. This is the best. I'm sure the driver behind me was wondering what the heck I was doing.